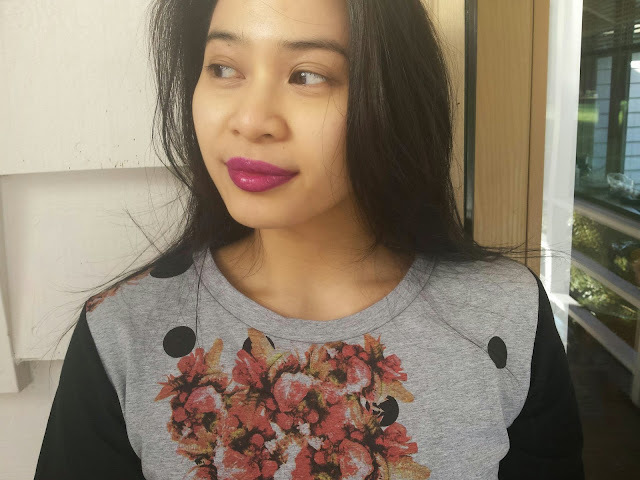 I'm a sucker for purple lipsticks and decided to pick up this Lime Crime lipstick in Poisonberry the same time I picked up a couple of Velvetines. 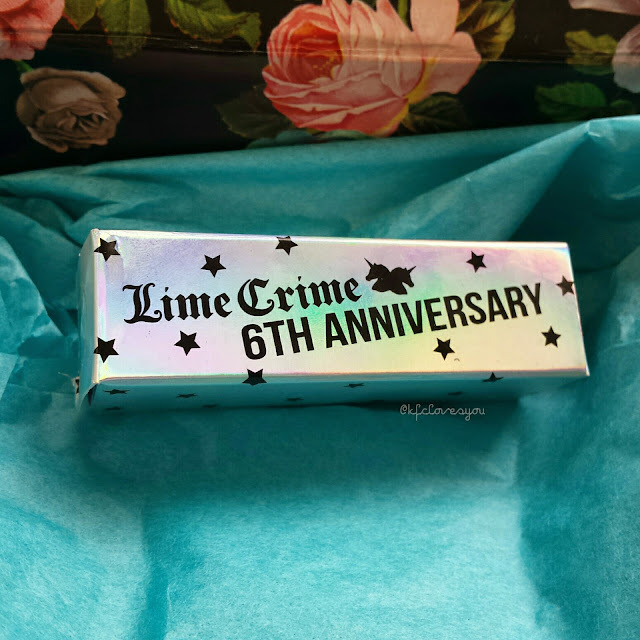 This one came in their 6th anniversary limited edition packaging and the holographic box made it super fun. 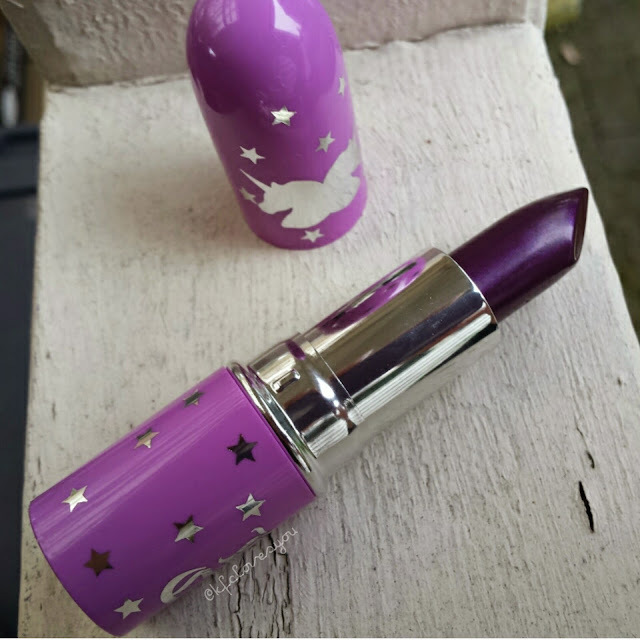 I kind of wish the actual lipstick itself was different aside from the fun purple and unicorn details but I know that would've made the lippies a w hole lot more expensive. This shade was definitely not as purple as it is in the tube but I still loved the hint of purple that comes out under the berry tones. 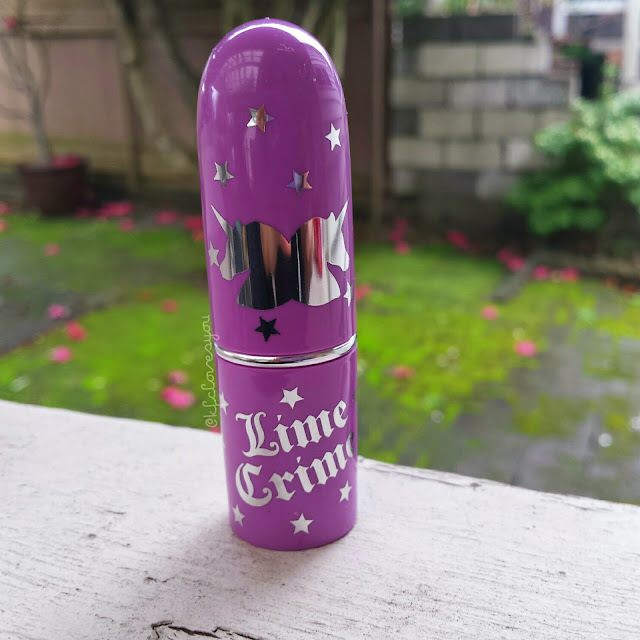 Out of all the other Lime Crime lipsticks that I have (only 2, Geradium & Cosmopop), this one is definitely less opaque and seems to give off a sheerer wash of color (compared to the bullet). It didn't feel as thick either and felt even more comfortable on the lips. 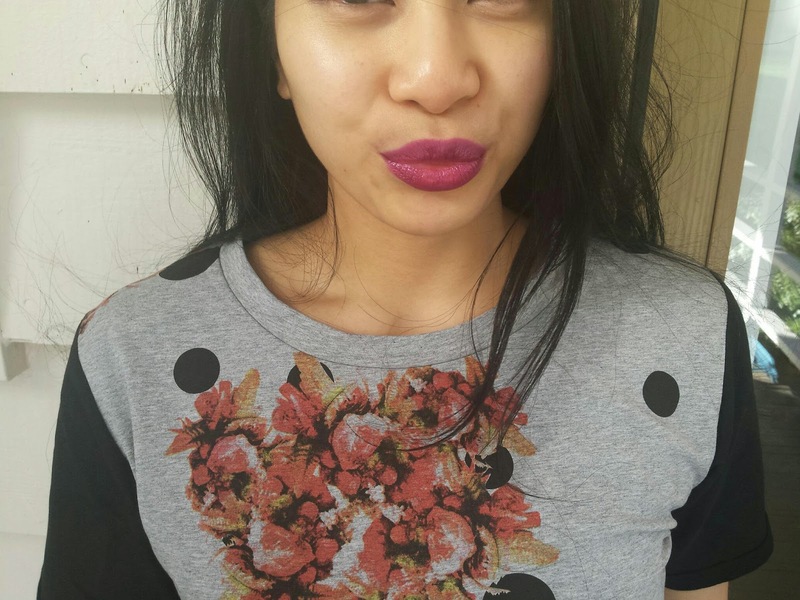 It applied easily - nice and smooth - and didn't emphasize any dryness on my lips. 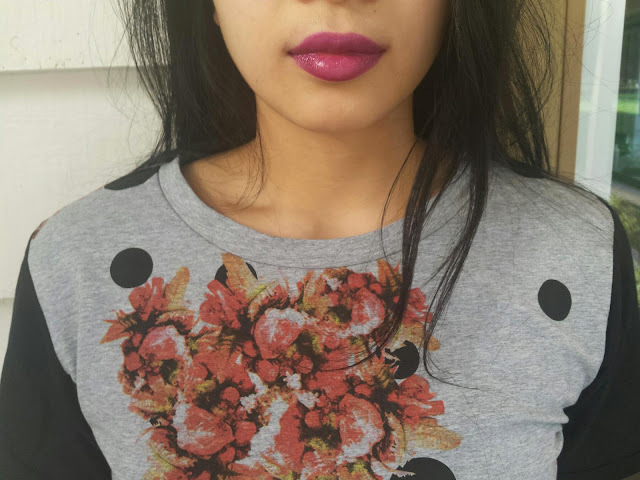 The formula on this one also is a bit more shiny/glossy and it definitely left my lips looking juicy (as you can see from the pictures). It had the same nice vanilla smell as the other lipsticks I have tried and I personally don't mind it since it isn't overpowering. 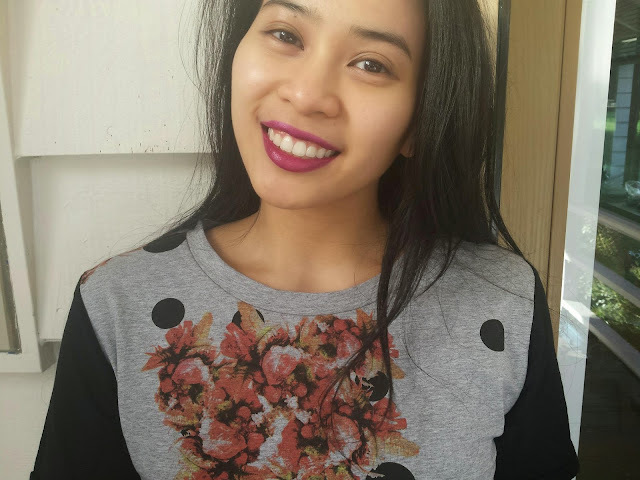 Since this lipstick does have a slicker feel to it than the other ones, it also seemed to slip wear off a lot quicker. I was able to wear this for around 2 to 3 hours through some light eating and drinking. I did notice, however, that this one left a nice berry stain on the lips after it wore off and it wore off pretty evenly. This color is also very easy to touch up without having to worry about weird bunching or uneven application. 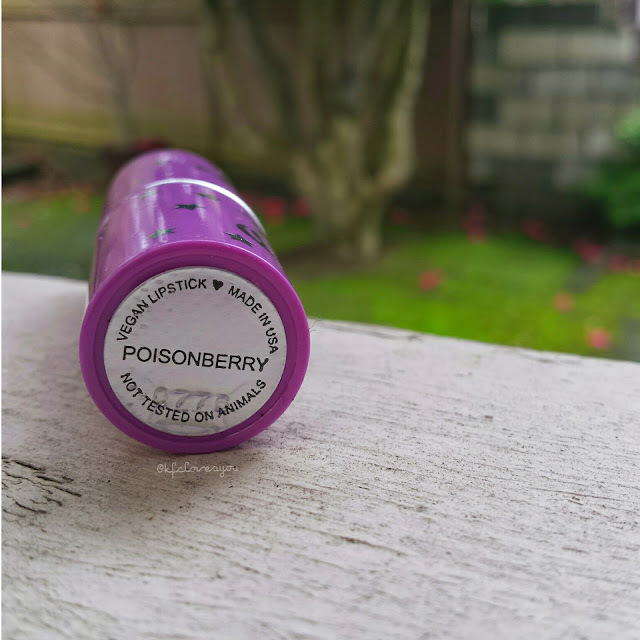 I'm definitely loving this lipstick and find it is a nice transition purple/berry shade from Winter to Spring since it is lighter in both pigmentation and formula. 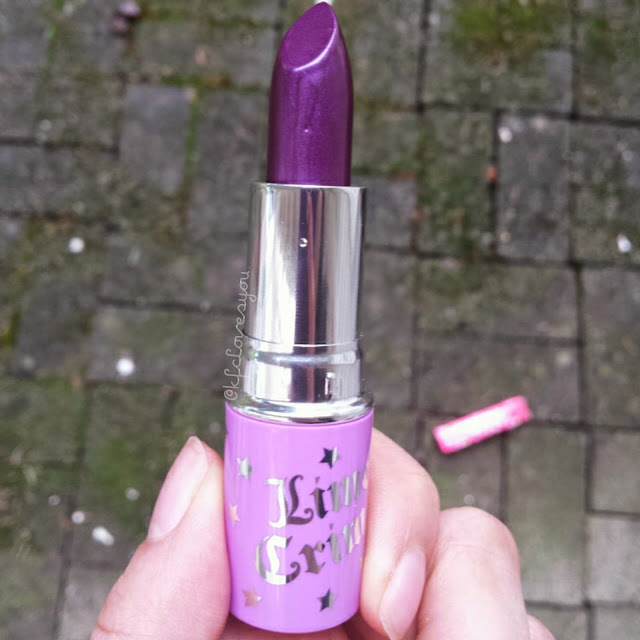 Readers, have you guys tried out any Lime Crime lipsticks? Any favorites? Let me know! I love how it's a little less purple on the lips! 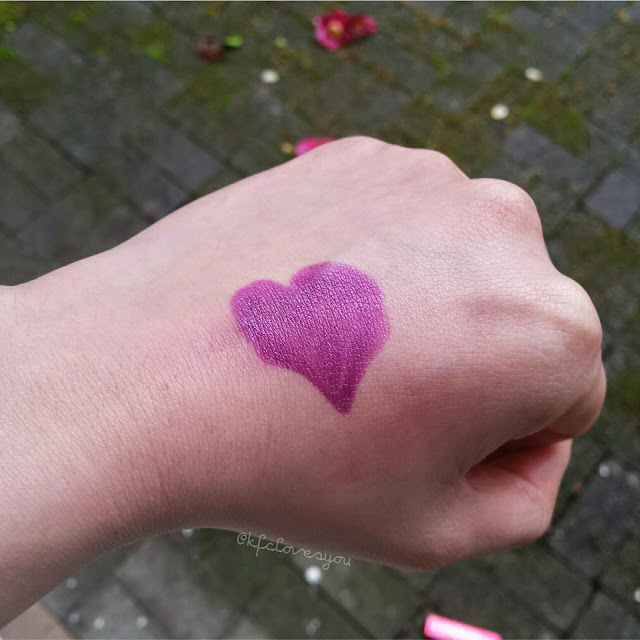 It makes the color more wearable! That being said, you seem to be able to rock any shade of purple! This color looks great on you. Thanks for sharing. Wow, when I saw that in the tube I thought it was going to be way crazy but it looks fab and totally wearable on you!